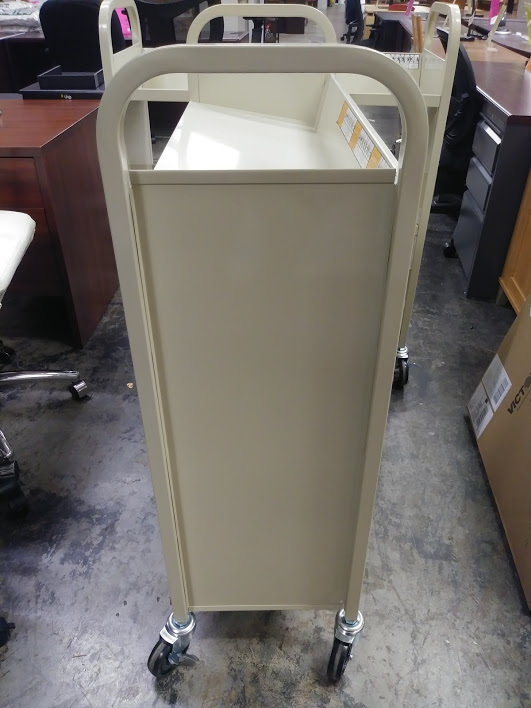 Keep books and other media organized with this Safco single-sided book cart. 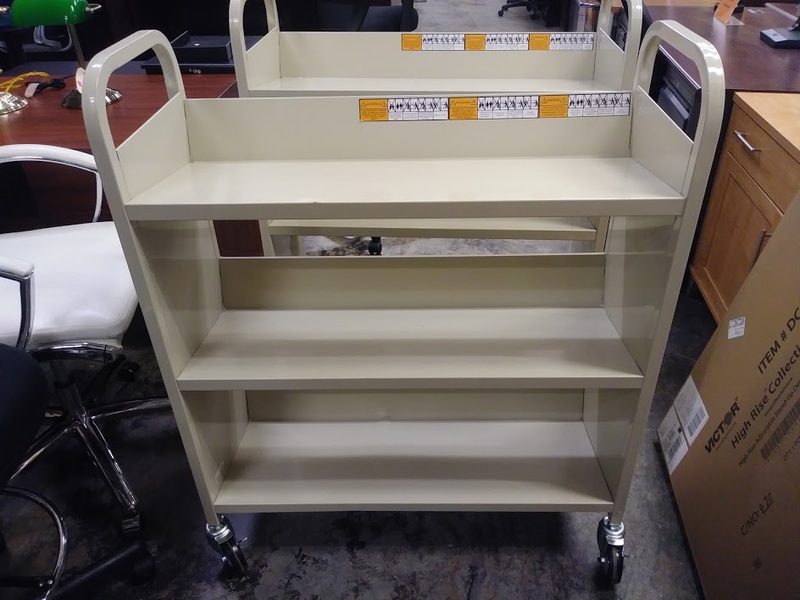 Organize books and other media with this mobile Safco single-sided book cart. 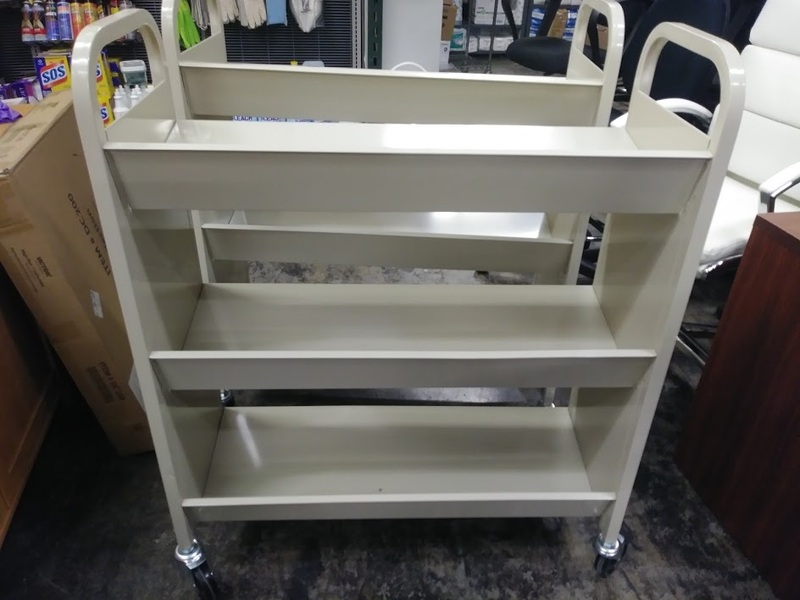 Perfect for libraries or other spaces where organizing and transporting books and other media is a necessity, this beige book cart is durable and well-suited to the task. Swivel caster wheels allow for easy mobility while three shelves offer ample space for books or other items. 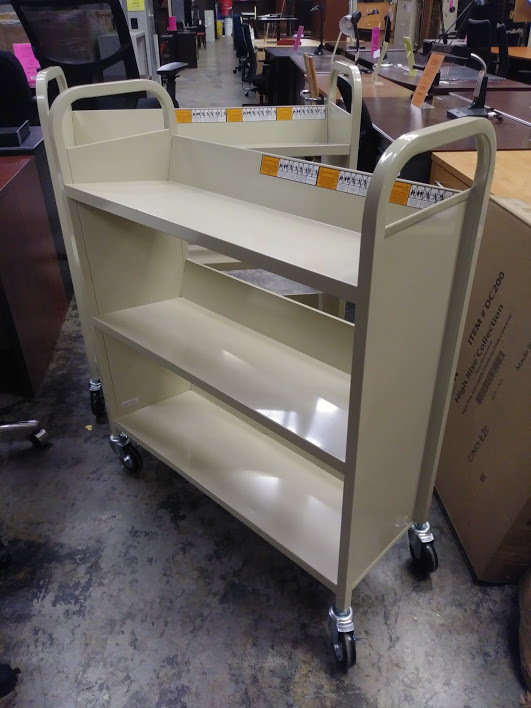 This Safco book cart provides a solution to transporting large amounts of books and other media.